Here’s the best of a group of first-timers seeking to follow in the footsteps of past Rookies of the Year such as Michael Jordan, Tim Duncan, Allen Iverson, Shaquille O'Neale, LeBron James and Kevin Durant. The Philadelphia 76ers were picked by most experts to be the worst team in the league, potentially tanking their season to ensure a high draft pick in next season’s highly touted draft class. However, Carter-Williams helped get the 76ers off to a hot start, potentially putting them in position for a playoff run this year. Even though he was the 11th pick in last June’s draft, the 22-year-old has easily been the most impressive rookie thus far. At this point in the season, he leads all rookies in points (17.7), rebounds (5.8), assists (7.8) and steals (3.1) per game. In just 15 games played, Carter-Williams has six double-doubles and one triple-double, also rookie highs in both categories. It’s safe to say the former Syracuse star is the front-runner for “Rookie of the Year” honors in the NBA, especially if he can stay healthy and replicate his early performance on a regular basis. If Carter-Williams is leading the pack, Orlando’s Oladipo is on his heels. The second overall pick in the draft is in the top five for points, rebounds and assists for all rookies, and has even registered a triple-double for one of the league’s worst teams. While Carter-Williams has a team around him that’s at least been to the playoffs in recent memory, the Magic missed out last year after two consecutive first-round exits - making the 2009 Finals appearance seem a long time ago - so Oladipo has to do a little more work on his own. Before the 2013 NBA Draft, I thought the 21-year-old was the best player available, and I stand by that now. 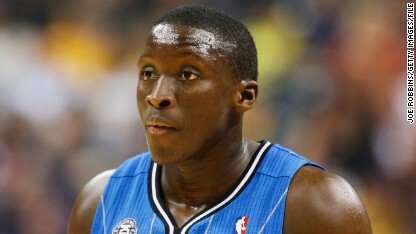 Even with Carter-Williams’ hot start to the season, expect Oladipo to perform better and better as the season wears on. Possibly the hottest player during the 2013 NCAA Tournament, Burke started his professional career with high expectations. However, an injury stopped the former Michigan Wolverines All-American from starting the season on time, and he has only played in 11 games thus far this year. Nonetheless, in that time Burke has been impressive on a struggling team. The 21-year-old ranks third among rookies in points per game and second in assists per game on arguably the worst team in the league. If Burke can stay healthy, his production should be able to improve, despite the lack of talent around him. One of the under-the-radar rookies coming into the season, Wolters is a second-round pick who’s proving to be way more valuable than experts expected he would be. Coming out of South Dakota State, it's safe to say he wasn’t a household name to many NBA fans. 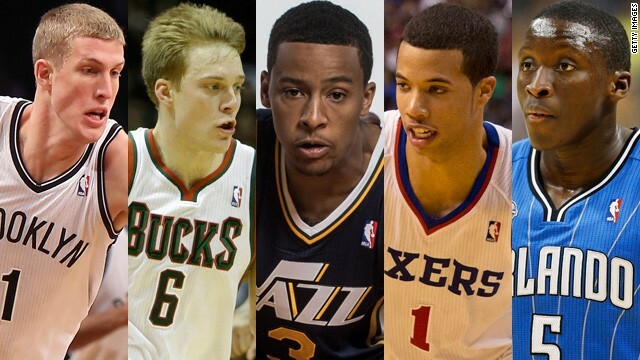 However, the 22-year-old deserves mention because of what he’s doing in Milwaukee. Wolters is third in assists among rookies, but he’ll have to improve his turnover rate if he wants to stay among this draft class’ elite. 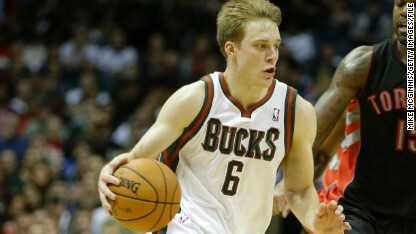 Overall though, he could go down as a steal for the Bucks. Coming out of college basketball powerhouse Duke, Plumlee had plenty of NBA scouts taking looks at him throughout the draft process. Even though he was drafted in the first round, I’m not sure many experts expected the type of production they’re getting out of him in Brooklyn. While the 23-year-old isn’t lighting the stat sheet like Oladipo or Carter-Williams, what is impressive about the 22nd pick of the 2013 draft is his efficiency rating. The Player Efficiency Rating (PER) is a system used to show how productive players are within their minutes played, and Plumlee currently ranks second behind Carter-Williams among rookies. What’s impressive is the average minutes in which Plumlee is posting his high PER, since he’s playing almost 20 minutes less a game than the other players on this list. 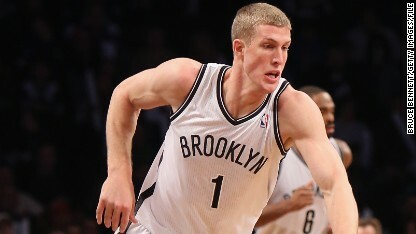 While more minutes are sure to come throughout the season as he continues to make solid use of his time on the floor, Plumlee deserves recognition for the surprising work he’s put in thus far this season. So, 2 black guys, 2 white guys and 1 half white half black. 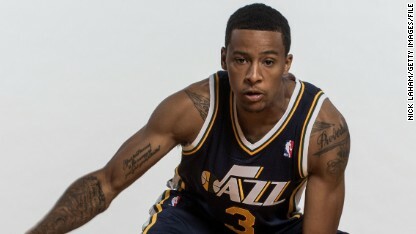 nothing against Trey Burke, the point guard for the Jazz, but this column rates him the third-best rookie on the basis of 11 games played this season? "The Magic hasn’t seen the post season since making the NBA Finals in 2009." The Magic actually qualified for the playoffs in 2010, 2011, and 2012. The last playoffs (2013) were actually the first they have missed since 2007. "What’s impressive is the average minutes in which Plumlee is posting his high PER, since he’s playing almost 20 minutes less a game than the other players on this list." It's actually less impressive; the more minutes one plays the more difficult it is to maintain a high efficiency rating. Logically speaking, the more time you spend on the court the more opportunities there are for mistakes; this is what separates players like Lebron James and Kevin Durant who lead the league in PER and also play the most amount of minutes for their teams respectively. To: Matt and all others who pointed out our mistake about the Magic's playoffs record, this has now been corrected. Thank you. 1. Wolters is from SOUTH Dakota St. Not NDSU. 2. Seems like his TO ratio is pretty good in my opinion. In the seven games he got to start in, he had 36 assists to 7 TO. 3. The main thing he needs is to find his shot. Mainly his 3pt shot. Only hitting 8% is brutal. Hi DJ (and zippy 51 who also pointed this out) – thanks for the heads up, this has been amended.